The Bε-tree File System, or BetrFS, is an in-kernel file system that uses Bε trees to organize on-disk storage. Bε trees are a write-optimized dictionary, and offer the same asymptotic behavior for sequential I/O and point queries as a B-tree. The advantage of a Bε tree is that it can also ingest small, random writes 1-2 orders of magnitude faster than B-trees and other standard on-disk data structures. The goal of BetrFS is to realize performance that strictly dominates the performance of current, general-purpose file systems. What is a Write-Optimized Dictionary? Write-Optimized Dictionaries include Bε trees, Log-Structured Merge Trees (LSM Trees), and COLAs. Speaking generally, a WOD is a hierarchical structure with logarithmic search complexity (e.g., a tree), but the upper levels of the hierarchy include a log for making small, random writes durable quickly. Unlike a purely log-structured file system, the log is merged into the tree structure in a timely and organized way; these costs are included in the asymptotic analysis, and have good upper bounds. BetrFS is an in-kernel file system, based on the opensource fractal tree implementation from Tokutek Inc. A fractal tree is a specialized variant of a Bε tree. For instructions on how to setup BetrFS, follow our Quick Start Guide. Grab the code from github (licensed under GPL V2). For instructions on how to age your filesystem by running through a git repository, check out our git benchmark. Here's a picture of us at our recent retreat. In Proceedings of the 16th USENIX Conference on File and Storage Technologies (FAST '18), Oakland, CA, February 2018. In ;login: magazine, Volume 42, Number 2, pages 6--11, Summber 2017. The 15th USENIX Conference on File and Storage Technologies (FAST '17), Santa Clara, CA, February 2017. The 14th USENIX Conference on File and Storage Technologies (FAST '16), Santa Clara, CA, February 2016. In ;login: magazine, Volume 40, Number 5, pages 22--28, October 2015. 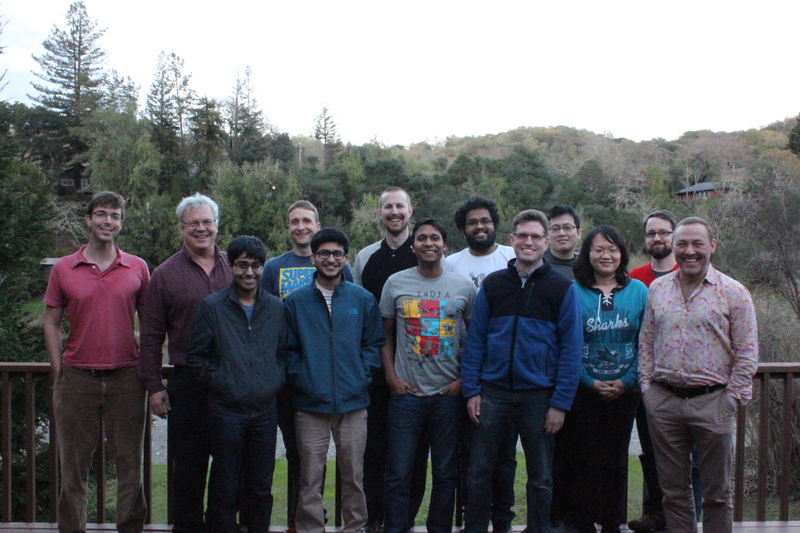 The 13th USENIX Conference on File and Storage Technologies (FAST '15), Santa Clara, CA, February 2015. This material is based upon work supported by the National Science Foundation under Grants CNS-1408695, CNS-1408782, and CNS-1409238.